This Model Code of Practice provides further amplification and explanation to engineers and national engineering organizations to interpret and implement principles of climate change adaptation at a practical level. The Model Code of Practice has been prepared as a complement to the WFEO Model Code of Ethics for Engineers and the Model Code of Practice for Sustainable Development and Environmental Stewardship. The Model Code of Practice is provided as guidance to engineers to consider the implications of climate change in their professional practice and that they create a clear record of the outcomes of those considerations. It consists of nine principles that constitute the scope of professional practice for engineers to initiate climate change adaptation actions, particularly for civil infrastructure and buildings. It is intended for practicing engineers who are members of one or more of the national organizations who are members of the World Federation of Engineering Organizations (WFEO). The WFEO Model Code of Practice on Principles of Climate Change Adapdation for Engineers was adopted at the December 2015 General Assembly. The Model Code of Practice is presented for consideration by the governing and registering bodies for engineers in every country, for use by engineering firms (for example, by posting on the wall as an expression of commitment) and for the professional development of individual engineers. The WFEO Model Code of Practice for Sustainable Development and Environmental Stewardship was adopted at the September 2013 General Assembly. Vis-à-vis the social, cultural, economical and especially technological changes in the last few decades, the civil engineering education approach adopted by most universities appears to be somewhat outdated. It is feared that engineers graduating today carry neither the desirable qualifications of the civil engineer of the last century nor they seem to be properly trained for the civil engineering applications in the coming decades. ECCE – The European Council of Civil Engineers has formed a Task Force to investigate into the problem mentioned and to develop improvement proposals if possible. A position paper will then be issued to reflect the views of the Council formulated on the basis of the findings of the investigation. At the first stage of the work, a Problem Identification Survey is being carried out in the participating countries. The survey consists of four parallel questionnaires designed to complement each other; one for the civil engineering faculty, one for the civil engineering senior students (fourth and/or last year), a third one for the practicing civil engineers and the last one for the administrators of the civil engineer employing companies. The coordinator of the project has proposed to convert the work into a joint WCCE – ECCE project, so that WCCE member countries can also participate in the work and enrich the outcome of the project. 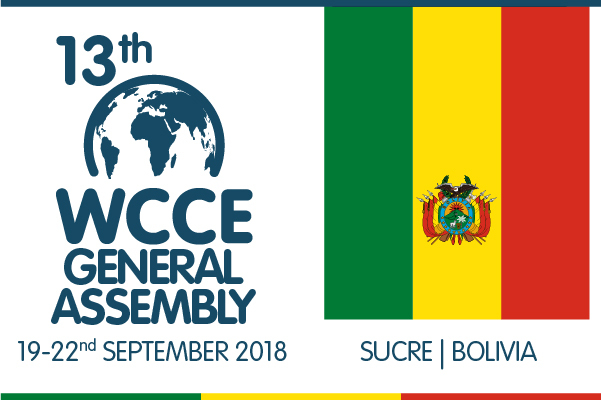 This proposal awaits the approval of the WCCE General Assembly. WCCE member countries will immediately be invited to participate in the project activities, if the proposal is accepted.